Welcome to the blog for the Arkansas Inland Maritime Museum, home of the historic submarine USS Razorback (SS 394). 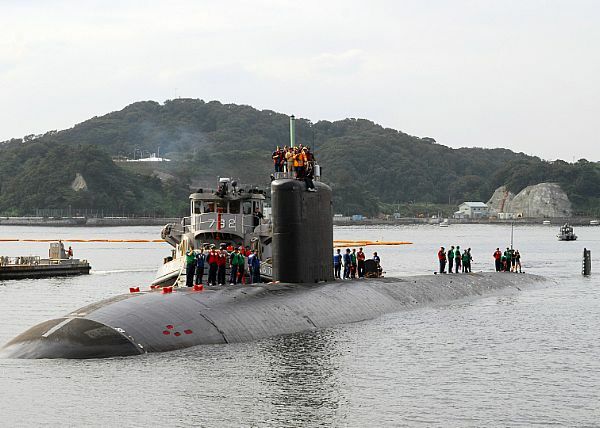 Only a few events of submarine history have occurred on a leap day. 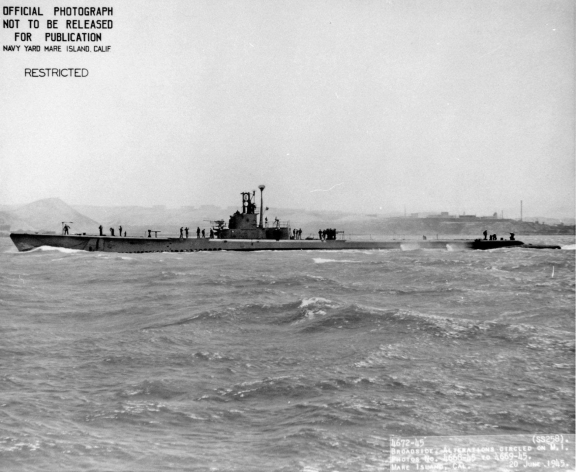 On 29 February 1944, USS Cavalla (SS-244) was commissioned. On 29 February, 1992, USS Jefferson City (SSN-759) was commissioned. Interestingly enough, both of these events have a connection to AIMM. Like Razorback, Cavalla was present at Tokyo Bay, Japan on 2 September, 1945, when the Japanese surrender was signed aboard the battleship USS Missouri (BB-63). Cavalla is now a museum in Galveston, TX. AIMM staff member Joe Mathis was stationed aboard Jefferson City during his career. On this day in 1945, a very rare underwater collision occurred between two American submarines. 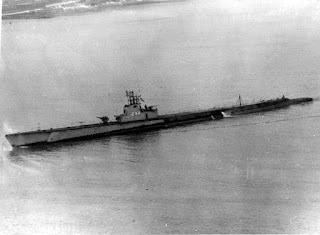 USS Hoe (SS-258), while patrolling off Indochina at a depth of 60 feet, struck USS Flounder (SS-251). Flounder was at a depth of 65 feet. After the collision, Hoe broached the surface, while Flounder was forced deeper. A short time later, after sighting a ship and an airplane, Hoe submerged and returned to her patrol. The mystery was only solved later, when the patrol reports of the two submarines were compared. Thanks to the Submarine Force Museum, Groton, CT for publishing the original article on which this blog post is based. Official U.S. Navy images. Recently, during some routine restoration work aboard Razorback, a small, cloth-wrapped Koran, the holy book of the Islamic religion, was found, tucked away in a small cubbyhole. Museum maintenance man Johnnie Studdard points to where the Koran was hidden away. It would have only been accessible to an officer in the upper bunk in the forward Junior Officer's stateroom, in the Forward Battery compartment (the officer's wardroom is to the left, the JO's stateroom is to the right. This unique artifact has been cataloged and will be kept in our archival collection. When the nuclear-powered guided missile cruiser USS Arkansas (CGN-41) was commissioned, the "plankowner" crewmembers were each presented with a watch. These watches were made by Timex, at the plant here in North Little Rock, Arkansas. John P. Gil, a director at the Little Rock law firm of Gil, Elrod, Ragon, Own & Sherman, P.A., recently donated these watches to the museum. Although the watches had been stored with the batteries still in them, the folks at the Timex plant were able to get some of them running again. Unfortunately, this officer's watch was one of the ones that could not be restored. While having the watches repaired at the Timex plant, the origin of the watches was passed on. One of the workers actually remembered working on them. The watches will be incorporated into our permanent exhibit on the cruiser Arkansas. 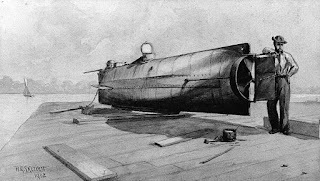 On this day in 1864, the Confederate submersible H. L. Hunley sank the Federal sloop USS Housatonic in Charleston harbor in a night attack. Housatonic was part of the Union fleet that was blockading the harbor of the Confederate city, and the sinking was part of an unsuccessful attempt to break the blockade. The sinking was also the first ever successful attack on an enemy warship by an armed submersible. Unfortunately, Hunley herself was lost in the attack, along with her entire crew of eight men. For many years, little was known about this pioneering vessel, except that she never returned from her final, successful, mission. Many attempts were made to find any trace of her, and many people assumed that she had either been completely destroyed or else she had been swept out into the ocean and lost forever. In 1995, a group backed by successful author Clive Cussler found Hunley, not far from the site of her fateful attack. She was raised from the bottom in 2000 and is being studied and conserved in a specially-built facility in Charleston. An attached museum has exhibits, as well as a number of original artifacts. The exact cause of her loss remains a mystery to this day. For more information about Hunley, you can visit the museum's website. 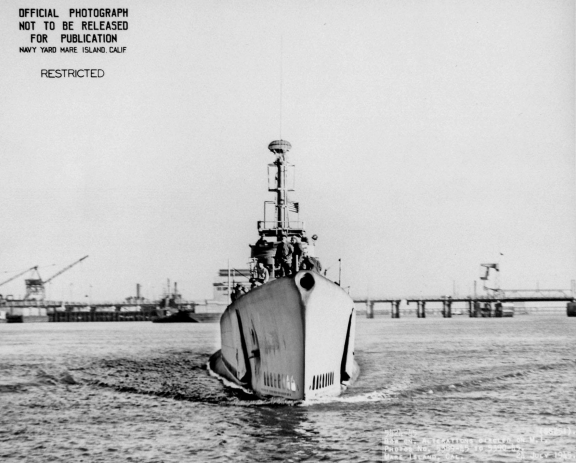 Image courtesy of the Naval History and Heritage Command, Washington, DC. In a collection of material recently donated to the museum (which is still being fully cataloged by Mike Hopper, our Curator), an interesting couple of items were found. 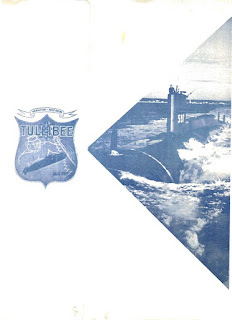 This picture is of USS Tullibee (SSN-597). 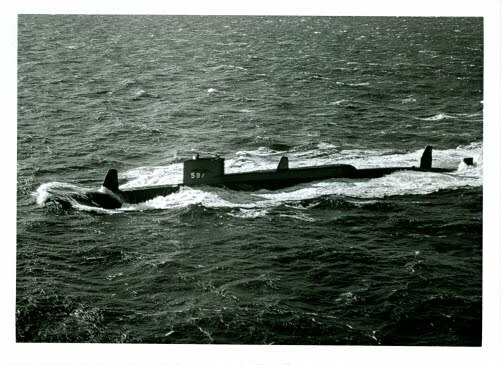 While designated as an attack submarine, Tullibee was a unique submarine. 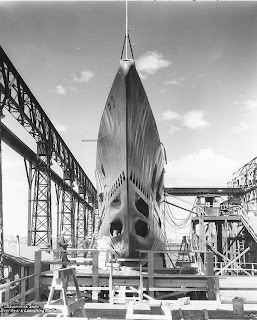 the three fins that you can see in this picture are part of the PUFFS Sonar array, an attempt to use a passive system to provide sufficiently detailed data about a target that a torpedo could be fired without ever using active sonar or even raising the periscope. As designed, Tullibee featured a very quiet turbo-electric power plant. Tullibee was also the first submarine to feature a spherical sonar array in the bow (a feature that necessitated moving the torpedo tubes back and angling them outward - a feature still used today). The collection also included an undated "Welcome Aboard" booklet, which featured general information about the submarine construction and capabilities. Both of these will be placed on our website soon and will be available for researchers to download. USS Shark (SS-174), the first submarine in the U.S. Navy to feature all-welded construction, was lost with all hands on or about 11 February 1942, somewhere off the Philippines. Shark was conducting her second war patrol. She was the first American submarine to be lost during a war patrol. Following the war, an examination of Japanese records revealed three attacks which might have claimed Shark. One depth charge attack on 11 February, another anti-submarine attack on 17 February, and a third operation on 21 February. Additionally, in 1944, a Japanese press release claimed that a Japanese subchaser rammed an American submarine in Manipa Strait in February, 1942. However the attack described in the press release is not mentioned in the official Japanese records. 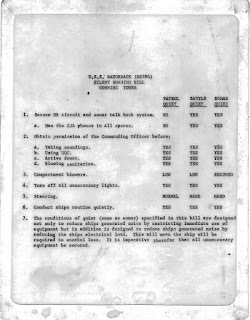 Since both English and Dutch submarines were also operating in the area at the same time as Shark, it is impossible to determine if any or all of the above mentioned attacks were successful in sinking Allied submarines. Another possibility is that of some kind of operational accident. 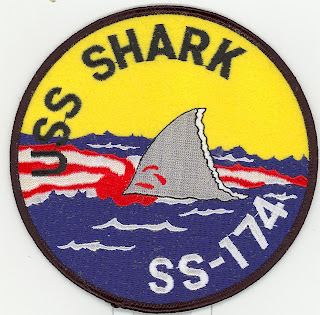 However, based on the available records, the attack on 11 February is thought to have been the most likely cause of Shark's loss. Official U.S. Navy photograph from the Naval Historical Center. Patch from the the AIMM collection. 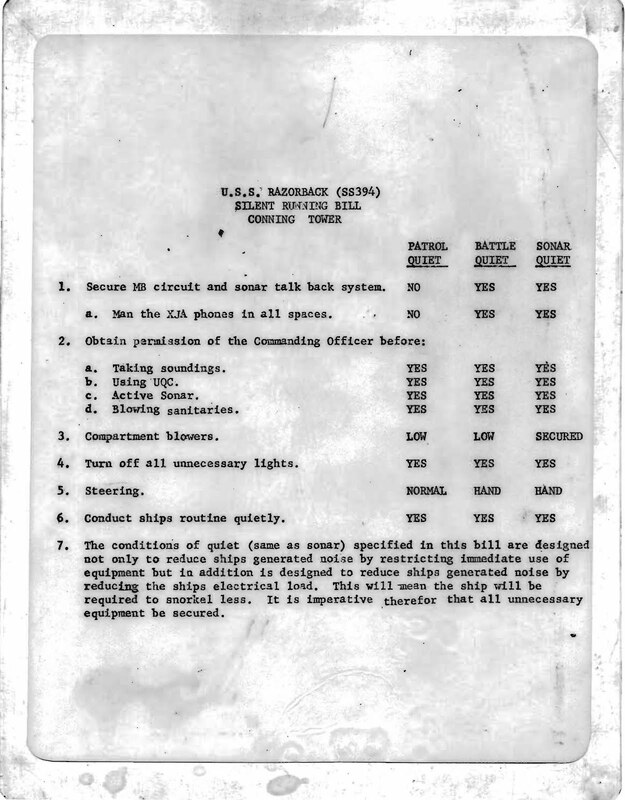 During recent restoration work aboard Razorback, a partial set of laminated "Emergency Bills" were found. 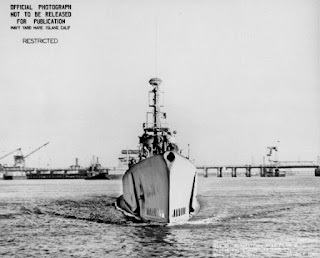 Since they are in English, not Turkish, and since they use "USS Razorback" and not "TCG Muratreis", they were clearly used in the 1960s and were left aboard when Razorback was turned over to the Turkish Navy in 1970. The entire set can be found on the website.